​Manchester United host Barcelona in the Champions League on Wednesday night for the first leg of this mouth-watering quarter-final tie. Ole Gunnar Solskjaer's side have tailed off in recent weeks, losing three of their previous four games in all competitions, but last month's historic victory of Paris Saint-Germain should act as a warning for the Spanish champions. ​Barcelona go into Wednesday's clash following a crucial 2-0 win over ​Atletico Madrid, which extended their lead at the top of La Liga to 11 points. However, as ​United proved in Paris, anything can happen over two legs and a positive result at Old Trafford is absolutely crucial if they wish to progress to their first semi-final since 2011. Ahead of the game, we bring you a combined XI of the two European giants. The Spaniard is consistently touted as one of the best goalkeepers in the world, and rightfully so. It's difficult to imagine where United would be without De Gea between the sticks - only two goalkeepers in the Premier League have made more saves this season. In February, the 28-year-old earned his 100th Premier League clean sheet and De Gea was named in the FIFPro World XI last year. However, Marc-Andre ter Stegen wouldn't be too bad either. Barça's versatile full-back can do the business in the central midfield and on the wing and his consistency puts him ahead of Nelson Semedo and Ashley Young in this XI. It takes a special talent to graduate from La Masia, but since making his debut in 2010 at the age of 18, Roberto has looked every inch a Barcelona player. His continued selection since the €30m arrival of Semedo in 2017 is testament to the 27-year-old. Umtiti's time on the field this season has been limited due to a knee injury, but the World Cup winner deserves a spot in the team without question. A huge player in France's triumph in Russia, scoring the winning goal in the semi-final, Umtiti's athleticism, ability and personality put him right up there with the best in his position. Alba completes this all-Barça back four thanks to his attacking threat and frightening pace, and it appears he's only getting better with age. Now 30 years old, Alba has 15 assists to his name this season - comfortably his best return since arriving at Camp Nou in 2012. 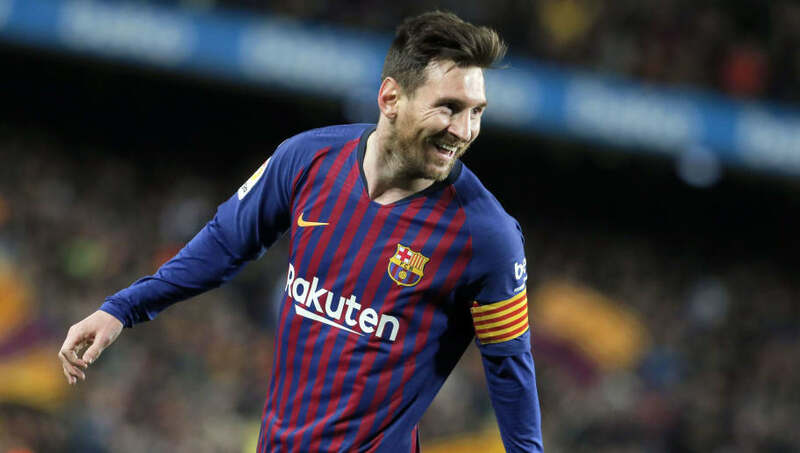 A goalscorer on Saturday with a deft finish against Atletico and with 12 goals in his last eight games, Messi will go to Old Trafford expecting to continue his hot streak and grab his 44th goal of the season. Love him or hate him, Suarez is one of the most talented and clinical strikers in the world. His record at Barcelona is nothing short of phenomenal, with 175 goals and 94 assists in 240 games. During his Liverpool days, the 32-year-old faced United on seven occasions - scoring twice and assisting twice. The final spot in this combined XI goes to 21-year-old Rashford. Much like Pogba, the England forward has enjoyed life under new management this season.